I've had to curb myself from putting up Christmas decorations already, so I decided to do some fall decorating to tide me over. I needed a fall wreath, and I didn't want to spend too much, so I threw together a really simple one with a grapevine wreath and a few fall picks. But it needed something. I loved the plaque hanging in the center of my Halloween wreath, so I decided to run with that idea. I love how it turned out, and how easy it was! 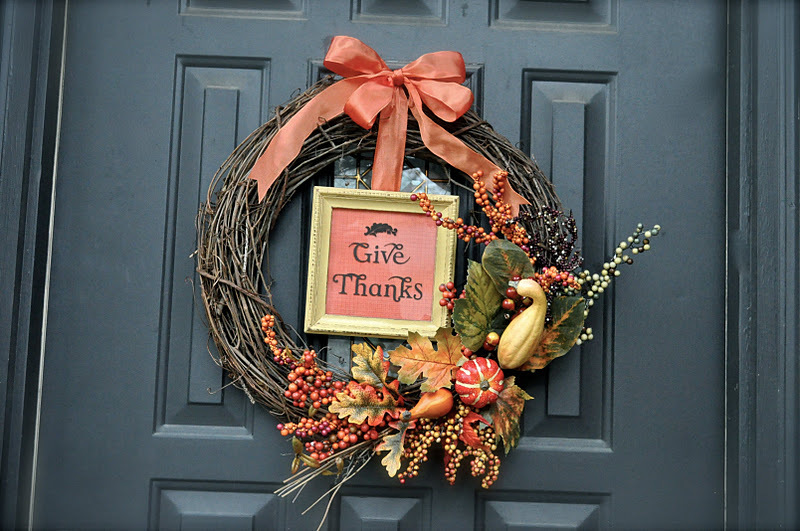 If you need a quick, easy, and inexpensive fall or Thanksgiving wreath idea, this one's for you. . .
1. 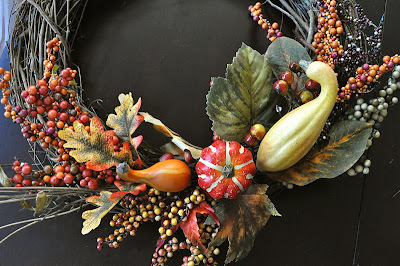 I started with my wreath. 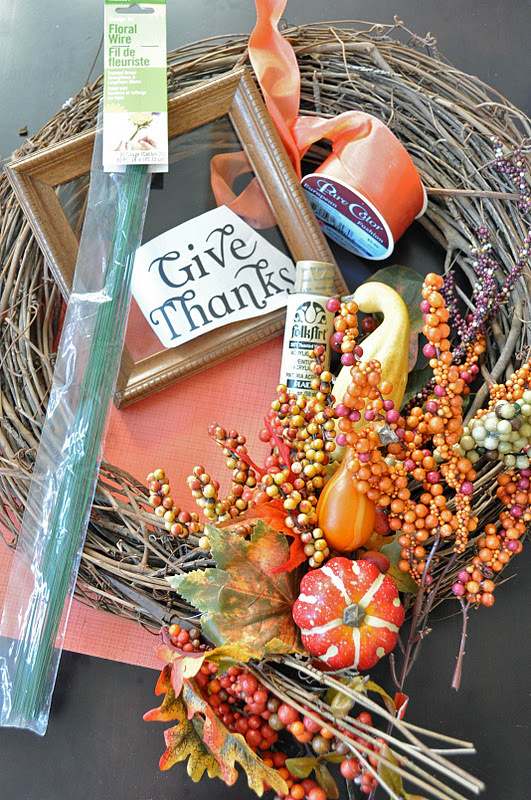 Arrange floral picks (fall leaves, pumpkins and squash, orange and yellow berries, etc.) 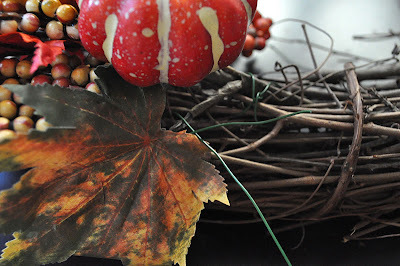 along bottom corner of grapevine wreath. 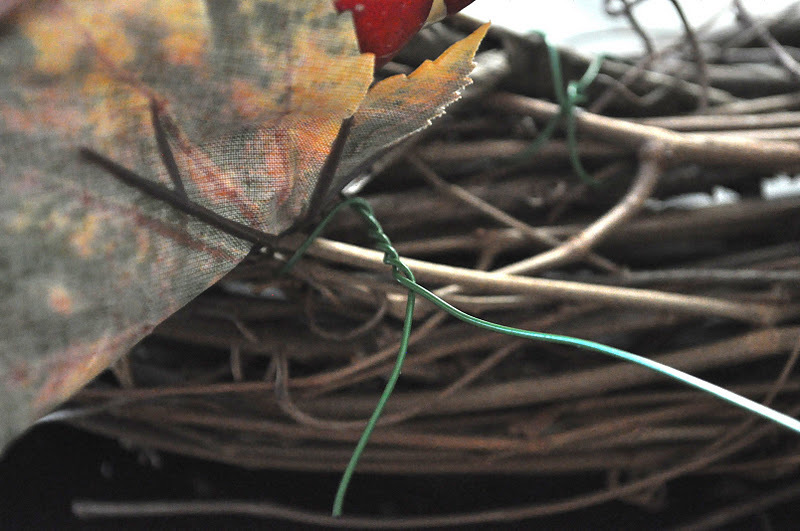 When it looks the way you want it, attach picks to wreath a piece of floral wire. Just wrap the wire through part of the wreath and around the pick and twist the two ends. Cut with wire cutters. 2. 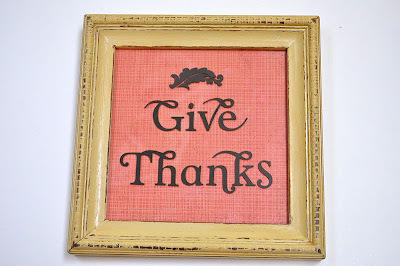 Create your framed fall phrase. I started with this awesome frame from the thrift store (sorry, I forgot to take a real "before" photo!). 3. I used the idea from this tutorial on Lella Boutique to distress my frame. First I sprayed it with a white spray paint/primer. 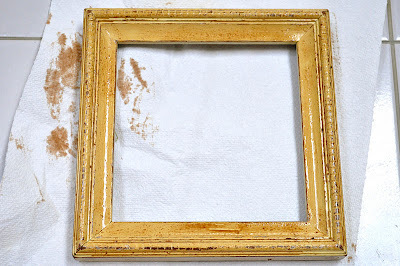 Then, using my Martha Stewart custom spray paint tool, I sprayed it with a yellow/tan acrylic paint. 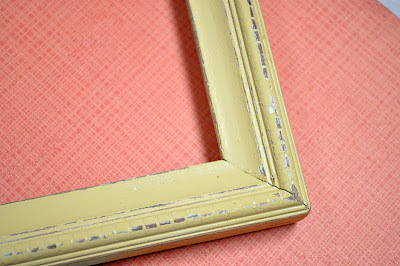 The next step is to sand it to distress it and bring out some of the color underneath. See the white and the brown? I love it. 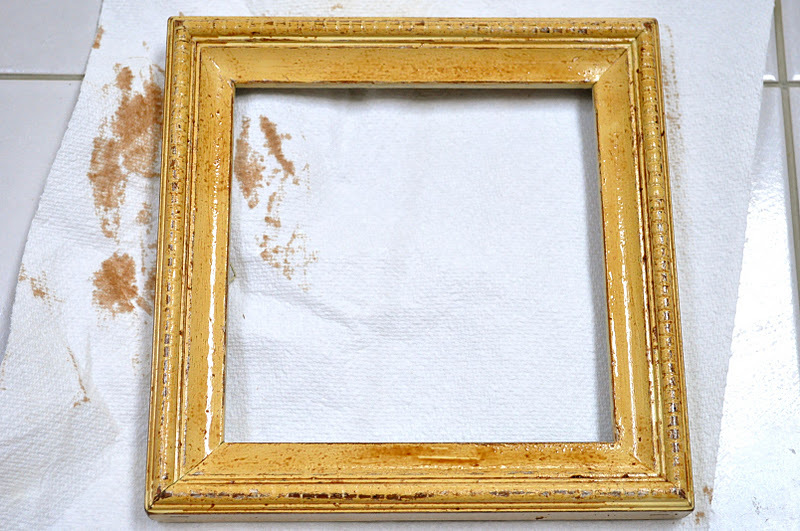 Then I applied a light coat of wood stain and let it sit for a few minutes. Then I wiped it off with a paper towel. 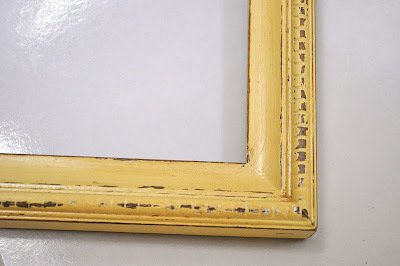 See how the brown parts are a little darker, and the entire frame is a bit more rustic looking? 4. 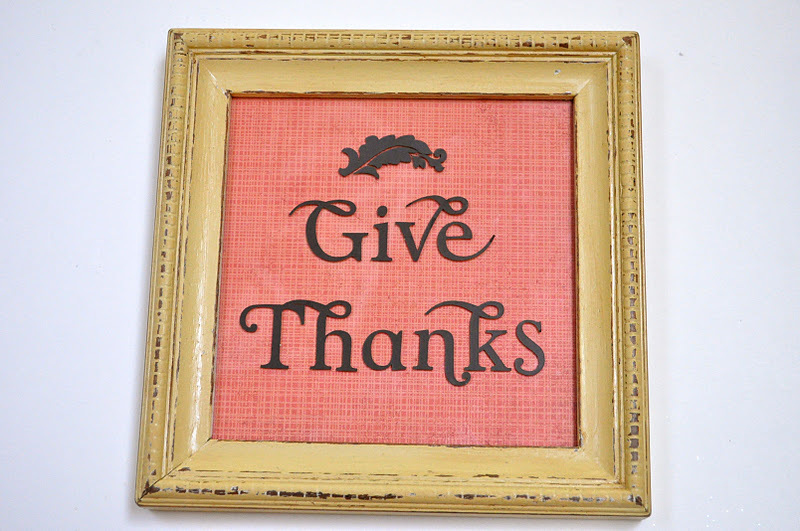 I cut the words "Give Thanks" with my Silhouette machine, along with a little leaf. (The font is from Creating Keepsakes and is called CK Woodbine Swashes, and the leaf came from the Damask Dings1 font). 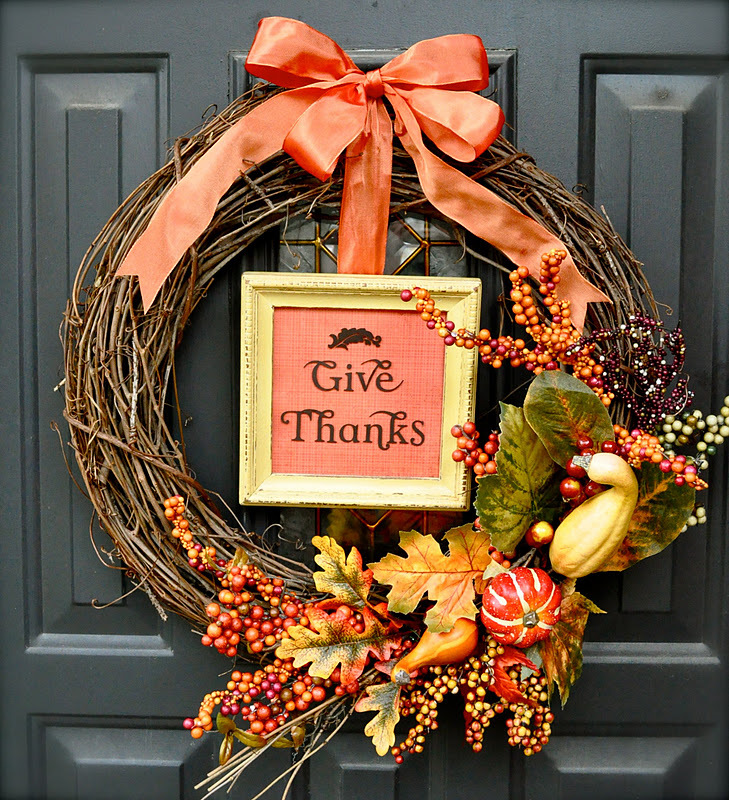 You could also use phrases like "Happy Fall," "Gather Together," "Friends Welcome Here", etc. Use transfer tape to transfer the letters to the glass. NOTE: if you don't have a vinyl cutter, you could always print the words on the patterned paper and put it behind the glass--it would look just as good! 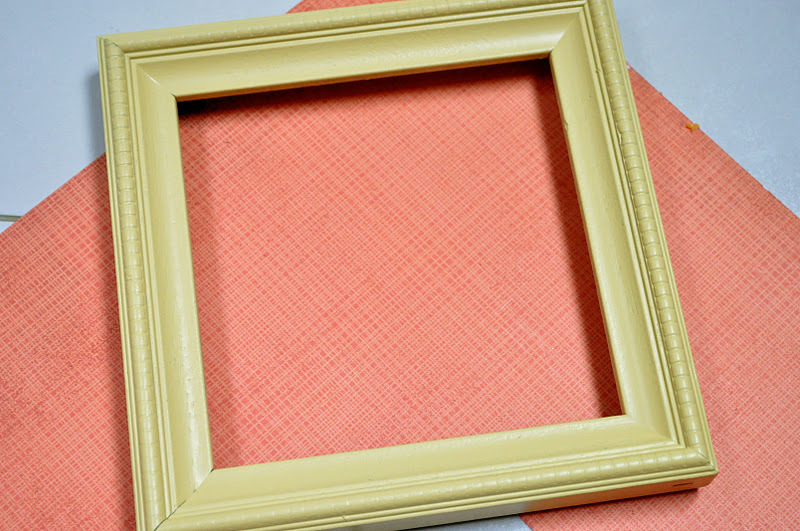 Cut a piece of patterned paper to fit inside your frame and place it behind the glass. 5. My frame had a hanger on the back, so I inserted the ribbon through it to hang it from the wreath. 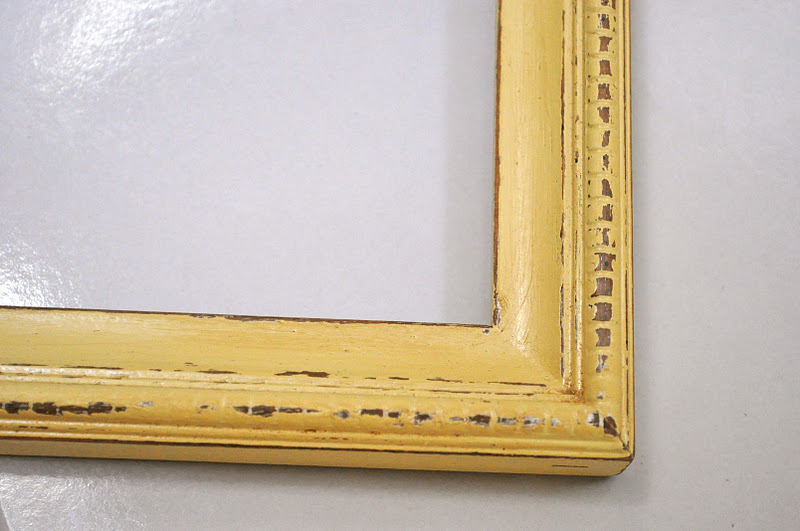 If your frame is not equipped with a hanger on back, try threading the ribbon through the frame before you put the glass in! Tie the ribbon to the top of the wreath. I added a double bow because my ribbon wasn't as wide as I would've liked it to be. I hung my wreath from a Command Hook (they're strong and removable!) that I added to my front door. Happy fall! 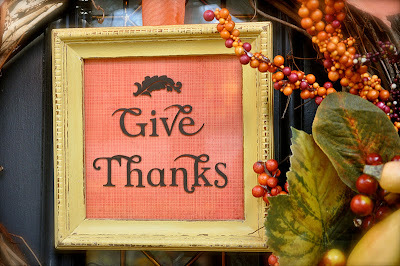 I can't believe Thanksgiving is only 10 days away! If you're looking for last minute fall and Thanksgiving ideas, check out the collection of our past posts, found at the top of the page. Enjoy this fabulous season! Love it! I still have my Halloween wreath up, lol. 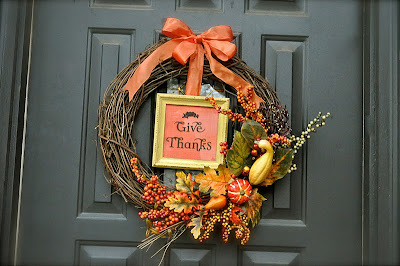 We don't celebrate thanksgiving down under ... but I have to say, that wreath looks absolutely fabulous. This wreath is simply beautiful! I gave it a shout out so hopefully more people will stop by and see it!